How Are Pain and Suffering Damages Calculated in Arizona? What is pain and suffering and how do you make sure you’re compensated fairly? Pain and suffering are difficult to articulate, and even harder to demonstrate in court. Nevertheless, Arizona allows injury claims for pain and suffering. Let’s look at pain and suffering, and how a plaintiff can ensure they receive the compensation they deserve. When a person is injured due to someone else’s careless or negligent actions, they can seek compensation for their medical expenses and lost wages under Arizona personal injury law. But shouldn’t that person also receive some compensation for the pain and suffering they endure as a result of the injury? In Arizona, the answer is an emphatic yes. But while it’s easy to calculate the cost of medical treatment and lost wages, it’s much harder to put a price tag on a person’s pain and suffering. This article looks at what exactly pain and suffering means, what factors impact an award for pain and suffering, and how insurance companies and lawyers attempt to put a number on pain and suffering. 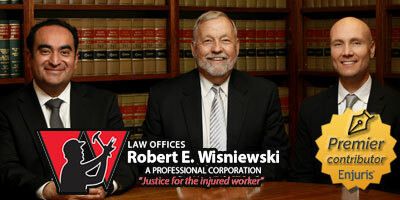 Economic damages are intended to compensate a plaintiff for the monetary losses associated with their injuries. These damages are easy to calculate and include medical expenses and lost income. Non-economic damages are intended to compensate a plaintiff for the non-monetary losses associated with their injury. This is where pain and suffering—the most common non-economic damage—comes into play. Let’s look at an example of how a person might experience pain and suffering. John is involved in a car accident on highway U.S. 93 just outside of Phoenix that results in several broken bones. It takes him 2 years to fully heal from the accident. During much of this time, he is bedridden and in extreme discomfort. On top of that, John is unable to participate in playing soccer with his friends—something he enjoyed prior to the accident. As a result, he becomes depressed and angry. All of these problems (the physical discomfort, the depression, and the anger) constitute “pain and suffering” directly related to the accident and John would be entitled to compensation for these problems. How does Arizona treat pain and suffering claims? Pain and suffering are real. As a result, Arizona courts have a desire to provide some sort of compensation for pain and suffering, even though the monetary compensation won’t erase the pain and suffering from occurring in the first place. Finally, an often overlooked factor is whether or not you’re a good witness. If a juror (in the case of a trial) or the opposing attorney (in the case of settlement negotiations) perceives you as a good witness, you’re more likely to receive the compensation you’re seeking. What’s a good witness, you may be wondering? A good witness is a person that comes across as credible and sympathetic. The best way to ensure that you’re a good witness is to be honest with doctors, lawyers, judges and juries. A plaintiff who’s seen as deceptive or exaggerating their injuries is less likely to receive the compensation they’re seeking. What documentation will you need to support your claim? Enjuris tip: Start keeping a journal or diary immediately following your accident so that you (and your healthcare profession) can track your recovery process. Download our free post-accident journal and start writing today. Insurance companies and attorneys often calculate pain and suffering by using a multiplier between 1 and 5 (the more severe the injury, the higher the multiplier). This means that pain and suffering is calculated over and above medical expenses at that rate. For example, let’s say you’re in a car accident and sustain a brain injury that results in $100,000 in medical expenses. Because a brain injury is considered a “severe” or “catastrophic” injury, it would receive a multiplier of 5. This would put the pain and suffering damages at $500,000. This is, of course, only a starting point. The number can go up or down depending on the many individual factors that pertain to your case. Have more questions? An experienced Arizona attorney can help you calculate your pain and suffering damages as well as gather the evidence you need to support your claim.